News from LMCU: Watch For Hutt Scholarship Winners In May! Watch For Hutt Scholarship Winners In May! 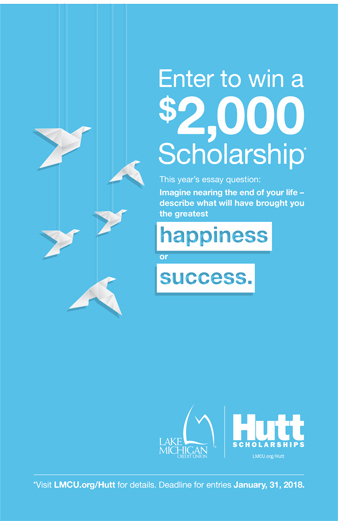 The 2017-18 Hutt Scholarship Entry deadline has now passed. The next step is for an independent panel of judges to review all entries. Fifteen winners will receive a $2,000 scholarship toward their future trade school, college or university expenses. 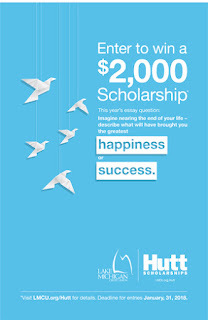 Established in 1991, the Lloyd F. Hutt Scholarship has awarded over $331,500 to deserving high school seniors to date. Thanks to all who entered!